Hi guys. In today’s blog i am going to discuss of what is happening too Twitter stocks lately and why it is too dangerous to trade in them right now. What is going on with twitter stock? Since two weeks there a rumor was started that Walt Disney was interesting in buying Twitter. And from there on many names of other buyers started to line up. Such as SalesForce, Alphabet (mother company of Google), Facebook, Apple, Microsoft and so on. Because of those rumors Twitter stocks has grown in value more than 25% in less than two weeks. From all those rumors it seems that Alphabet is really interested in buying Twitter. According to Yahoo Google is seeking advice from Lazard bank for the acquisition and merge with twitter. According to most analysts from all those interested buyers, Alphabet will benefit the most from buying twitter. However I think Facebook will benefit a lot from it as well. Because if Facebook can buy twitter then they increase their dominance in the social media industry. Why is it so dangerous to trade in Twitter stocks right now? As you can see in the graph, you will notice that value of twitter stocks has been growing explosive in a short period of time. With the current state of twitter stock it is impossible to determine what the resistance and support level is of twitter. Further more if the rumors are starting to fade away, then you can expect a fall back in twitter’s stock price. The fall back in twitter stocks price won’t be big but there is not much to gain now at the moment. As long there is no serious bids of other companies. I strongly believe that consolidation in twitter’s stock price will kick in when there is no new rumors about twitter’s take over. However when the bids being make official then you can expect a strong price movement. Want to know more about twitter stock and its business? Then watch the video below. There are types on fundamental analysis that we used here at 101trading. The first one is fundamental analysis on shares/stocks, the second one is fundamental analysis on forex and in this article we are going to discuss the fundamental analysis on commodities. In this article you will learn what a fundamental analysis on commodities is and you will learn on how to apply it for your trading. What is a fundamental analysis on commodities? A fundamental analysis on commodities is a analysis that is focused on the factors that have impact on the supply or demand side of a commodity. With the fundamental analysis on commodities traders and investors can try to predict of what the price of a commodity will be like in the future. When are you are doing a fundamental analysis on commodities one of the first thing that you should be checking is the demand side of that commodity. For many commodities the general rule is that when the economy of countries are growing the demand side for commodities will grow as well. And because of that the demand side will grow faster then the supply side of the commodity. In this case the supply can not meet up with the demand so the producer will sell its commodity to the highest bidder. So in general when the demand keeps growing and the supply side stay still, the prices for commodities will increase. What are the factors that can influence the demand size of a commodity? There are many factors that can influence the demand side of commodities. In this article we are going to discuss the three major factors that can have influences on the demand for commodities. Price is one of the factors that has influence on the demand side of a commodity. The general thumb rule is that when the prizes of a commodity decreases the demand will increase. Its simple economics. For example if the gas price is £ 1,- per litre, you would use gas more then if the gas price was £3,- per litre. The cheaper it is to more you will use. Economic growth has a impact on the demand side of the commodity as well. If they economy is growing as expected or better then expected the price of commodities will grow in value. However if the economy is growing slower then expected the price of commodities will go down. As you may guess if there is no economy growth in the present or in the future the value of a commodities will go down. Politicians and central banks are the ones that creates policies that should support the economy of their country. Sometimes it works well and sometimes it doesn’t. Although it may take a while before the policies get implemented the markets usually reacts first. Causing either a increase or decrease in demand. What are the factors that can influence the supply side of a commodity? While a decrease in price creates a increase in the demand. The decrease in price of commodities has a other effect on supply. If the prices of commodities decrease the supply will decrease as well under normal circumstances. The reason for that is that it doesn’t makes any sense for a producer to produce a lot of commodities for a low price. When the prices of commodities increases the supply will increase as well under normal circumstances. A high price is attractive for a producer to produce a lot of commodities as he can earn more money. A increase in economic growth leads to a higher demand which results in a higher price for commodities. And as you know by now a high price for commodities will increase the supply of commodities. When the economic growth is below expectations the demand will decrease which leads to a lower price of commodities. As you know a lower price in commodities equals a smaller supply of commodities. Politicians and central banks are the ones that creates policies that should support the economy of their country. Sometimes it works well and sometimes it doesn’t. Although it may take a while before the policies get implemented the producers usually watch from the sideline what effects it has on the prices and prepare measurements to take when it is needed. Causing either a increase or decrease in supply. How to make money with fundamental analysis on commodities? The third thing that you need know is that when the prices of commodities are too low , the producers will shrink the supply so that the demand is bigger then supply again which will lead into a increase of prices for commodities. When you hear that the producers are announcing that they will shrink the supply then you will know that a bullish trend is coming for the commodities. As a trader and investor you can make money by going long. The opposite will happen when the producers are announcing that they are going to increase the supply. The prices of commodities in this case will go down. You as a trader and investor can make a huge profit by going short. Today in this article we are going to discuss what a fundamental analysis on forex looks like. You will gain insight and learn how to use the fundamental analysis on Forex the right way. What does a fundamental analysis on Forex looks like? A fundamental analysis on forex is a analysis that focus on the development of the economy of a country to trade currency more effectively. In a forex fundamental analysis you will get to know what the economy situation is of a country, what policies or plans of the government are, speeches of big politicians, economic events and plans & statement of central. All these factors can influence the value of a currency big time. What are the key factors to look at the fundamental analysis on Forex? The first key factor in the fundamental analysis on forex is the interest rate. The interest rate is one of the key factor that has a lot of influence on the value of a currency pair. For example when the central bank of a certain country increase the interest rate the value of the currency of that country will go up. The reason for that is that foreign investor can get a higher return if they invest in that country assets or expand their business there. When a central bank is weakening the interest rate then the value of a currency will go down. One of the reason for that is the investor get lesser profit from his investment as the asset of the country goes down in value. The second key factor in the fundamental analysis on forex is the employment rate. If the unemployment rate is low it means that there are a lot of people who is working. But it also means that there are lesser people available for work. So if a company needs a employee, the company will need to offer a higher salary to beat the competition. As a result of this the salaries will increase and therefore the pricing for the goods will go up. When the prices of good are increasing it means that the inflation is increasing. If the inflation rate is too high the central bank will have to step in. The central bank will increase the interest rate to keep the inflation rate under control. As you may know when a central bank increase their interest rate the value of a currency will increase. The third key factor in the fundamental analysis on forex is the economic data of a country. There is a wide range of economic indicators that provides economic data of a country. The most important economic indicators are: the GDP growth, Consumer confidence index, manufacture index, service index, inflation rate index, price index , jobs growth index and the investor confidence index. The best way to get these data is to check the economic calendar of investing.com. When you look at the their economic calendar you will see on which date the economic data will be released from which country. And you will see what the forecast are from experts. You will also see the symbols of bulls. The more bulls there are the more impact that economic data will have on the markets. Usually when the economic data is way below the forecast of the experts, the markets will go extremely bearish. And when the economic data is way above the forecast of the experts, the markets will go extremely bullish. The fourth and the last important factor in the fundamental analysis on forex is the policies and statements from the central banks and important politicians. The policies and statements from the central banks and governments have a huge impact on the value of currencies. The reason for that is both parties are responsible for the economic health of their country. When the economy is going bad both the government and the central bank have too come up with new policies to get the economy back on his track. In the anticipation of central bank or government economic help the value of a currency will either go up in value or go down in value. As a trader you can make a lot of money in this situation. Let’s say the Federal Reserve (American central bank) is increasing his interest rate while the BoA (central bank of Britain) does nothing. In this scenario the USD will go up in value while the GBP will down in value. If you were expecting that the GBP was going bearish against the dollar, then the best way to make money was by going short on the GBP/USD. And if you were expecting that the USD was going up in the value then the best way to make money was to buy USD/GBP. In my experience the best way to use fundamental analysis on forex trading is too used it with technical analysis as well. To increase the chance of trading successfully you must understand what the are causes that can cause a change in the price of a currency. In my eyes the fundamental analysis on forex provides me the best understanding of why a price change might happen. And the technical analysis provides me the insight if that news or expectation of a cause is already priced in the markets or not. In other words I use the fundamental analysis on forex for reasons to buy or sell and I use the technical analyses for which price I would buy or to sell. When you do a fundamental stocks analysis, all you want to gain out of it is to understand how the company operates, their strategy, the success rate of their strategy, the financial health of the business and the company future plans. By reading and analysing reports you will know how the company is performing and how healthy the company is in the current market condition. If you read the reports of the competitors as well then you will what position your company is on the market. Why do people use fundamental stocks analysis? There is an idea in the markets that the stock market may value a company wrong from time to time. Profits can be made by finding stocks that are underpriced. According to the methodology of fundamental stocks analysis the market will eventually value the stock at the right price. One way of performing a fundamental analysis on stocks is to analysing the financial reports from companies. Each quarter the company gives out their financial result that they have achieved in the previous quarter. By analysing these financial reports, you will gain a better understanding and insight of the value of different company and you will understand how they got priced in the stock market. By doing this you will get to know if a stock is overpriced or underpriced. The first key element to look at when doing a fundamental analysis on stocks is earnings. You need to know what the earnings are. When you know what the earnings are, check it and compare it to the forecasted earning that was done by the CEO of that company. This way you will know if the company strategy is working good. And if the company is profitable or not. Future earnings are a key factor as the future prospects of the company’s business and potential growth opportunities often determines the stock price. When you are performing a fundamental stocks analysis on you will find out that the factors that determines the earnings of a company are revenue, cost , assets and liabilities. In order to get a simple view on the earnings is too look at the earnings per share (EPS). The EPS is calculated as follow: The total earnings of a company divided by the numbers of the outstanding shares of a company. A high profit margin indicates that a company has lower cost and therefore more profit. Some professional investors and hedgefund managers use the profit margins to see which company has a better control of cost in the same market. Return on equity is a financial ratio in the fundamental stocks analysis that measure how much profit is being made with the current available equity of the company. Basically it tells how much profit is being made with your investment. Company A and company B are both making a profit of $10 million. However company A has a equity of $100 million while company B has an equity of $500 million. In this case the ROE of company A will be 10% and the ROE of company B will be 5%. What this tell us is that company A make the same profit as company B but with lesser equity. If company A had the same equity as company B, company A would have made much more profit. In this case based only on the ROE it would be a good idea for a investor to invest in company A as he gets more profit. Price to earnings (P/E) is a other very popular financial ratio in the fundamental stocks analysis. What the P/E does is that it tells you quickly what the value is of a stock. The calculation of the value P/E value goes as follow: current market price divided by the earnings per share (EPS). What does the value of a P/E of a stock tell? A low P/E value means that a stock is under valued. When a stock is under valued it basically means that the current stock price is cheap and it hasn’t reach the price that it should be. A high P/E means that the current stock price is more expensive. Now you might think that when a stock has a high P/E value that the stock price will go down. But often it doesn’t go down. As the stock price includes many factors such as earnings, profit margin and growth potential. Often a high a P/E of a stock indicates that many traders and investors believes the current stock value is under valued as they believe that the company will earn a lot more in the future. Therefore although the P/E is high they still see it as cheap compare to the future worth. Price to book ratio is a financial ratio in the fundamental analysis stocks that compare the stock market value against its book value of the company. The calculation for this financial ratio is as follow: current share price divided by the book value per share (according to the latest financial statement) or use the market capitalisation of the company and divided it by all the shareholders equity. So what does this financial ratio tells you about the company? What the ratio tells you is that if you are paying too much or too little for a stock as it denotes the residual value if the company went bankrupt today. A higher P/B ratio than 1 denotes that the share price is higher than what the company’s assed would be sold for. The difference indicates what investors think about the future growth potential of the company. The thing with fundamental stocks analysis is that in the long run the stock price will be reflected through its fundamental true value. However in the short- term the stock price of a company might go in the wrong direction. This because that there are still factors that can have influence such as news releases and changes in the future outlook of the company. Trends, investors emotions also effects the short term price fluctuations which results that the current share price is different from its true value. What is the best way to make money with fundamental stocks analysis? If you are using the fundamental analysis on the right way you can make a lot of profit in the long term. For example in the article I wrote about Starbucks of why I invested it for long term was based on based on the fundamental analysis on shares/stocks. However for entering the buying price I used the technical analyses. I have bought the shares in 2014 and currently my return on investment is over 70%. Not many knows this but you can make a lot of money on short term with using fundamental analysis stocks especially when you are going short or when a company seems to be hit by bad news that barely effects the company revenue. For example if you that something has changed in the fundamental analysis stocks that can have influence on the companies revenue, then the first thing you need to do is check the technical analysis to see what the current price trend is of that stock. Then check if the stock price is near support level or the resistance level. A change in the fundamental analysis stocks will break many support levels or many resistance levels. The best way to make money from stocks in my experience is too use a combination of fundamental stocks analysis with technical analysis for entry and exiting. The fundamental stocks analysis is best use to determine why the stock should get more or less value in the future. And the technical analysis is best to use for understanding the price movement( that is based on the past) to determine whether it is a good time to buy or sell the stock for a certain price. https://www.101trading.co.uk/wp-content/uploads/2015/12/fundamental-analysis.jpg 250 580 Khanh https://101trading.co.uk/wp-content/uploads/2015/07/logo101trading2.png Khanh2015-12-28 17:21:382016-09-22 11:46:39Fundamental Analysis on stocks: How do you do it? A fundamental analysis is an analysis that is conducted by traders and investors to determine the value of a certain security (a investment object). Investors and traders often use fundamental analysis to determine what the current real value is of a certain security and what the real value will be in the future. With this information the Pro’s decide what their plan will be for investing or trading. For example, if you are using a fundamental analysis in stocks. You fundamental analysis will cover a range of fundamentals that create the value for the company. A example of a company fundamentals will be like the financial report of the company. How much profit did the company make? What is the profit margin of the company? With fundamental analysis you want to know what the basic factors (that are based on facts) are, that creates the value of an investment object. For example if you want to do a fundamental analysis on forex, you want to know what the factors are that increases or decreases the value of the British pound. What are the components of fundamental analysis? There are many markets to trade or to invest in. Each market has their own basic fundamentals where the value of a certain security is based up on. In this article we are going to discus the three main markets where a lot of trading and investing is done. Those three markets are: the Stock market, Forex market and the commodities market. When you are doing a fundamental analysis on stock you are basically doing a fundamental analysis on the company, the competitors of that company and the market(s) where the company is active. The reason you are doing this is to collect intel so that you can decide if it is worthy to start trading in this stock for profits. If you want to know more about fundamental analysis on stocks then read here: Fundamental Analysis on Stocks. When you are doing a Fundamental analysis you will have to check the policy of each central banks as they control the supply of each country currency supply, the economic state of a country. Those two factors have a major impact on the currencies. The central banks have a huge impact on the money supply as they have to the authority to put up more money in the market. The economic state of a country has a huge impact on the demand size for the country currency. With THESE INTEL you will know what you need to in order to increase your chance on trading profitable. If you want to know more about fundamental analysis on Forex then read here: Fundamental Analysis on Forex. On the fundamental analysis of commodities you will check on the factors that have influence on the supply and the demand side of a certain commodity. Let’s take crude oil for example (oil is a commodity). When you look at the supply of oil you will look at countries that produces oil. If those oil countries are announcing that they are going to produce more oil then you can expect a decrease in oil if the demand for oil stays the same. With the fundamental analysis you might discover what the factors are that have influences for the decision of increasing or decreasing oil production. With these information you will gain a better insights for trading oil profitable. If you want to know more about fundamental analysis on commodities then read here: Fundamental Analysis on Commodities. Fundamental Analysis is best use for long-term trading. The reason for that is that it takes time before the factors that influence the price starts to work. That’s the downside of fundamental analysis you don’t exactly when the price movement is starting to react. To predict of when the price movement will kick in it is best to use technical analysis. The reason for this is that Technical analysis is an analysis based upon past price movement. It gives you an insight on how price of a certain security reacts to the factors of the fundamental analysis. The best way to use Fundamental Analyse is to combine it with the technical analysis. Horizontal levels are one of the simplest strategies to make money in trading. It is one of the most use strategies in Forex trading. In this section you will know what Horizontal Levels are, how to draw them and how to use them. A horizontal level is a horizontal line. 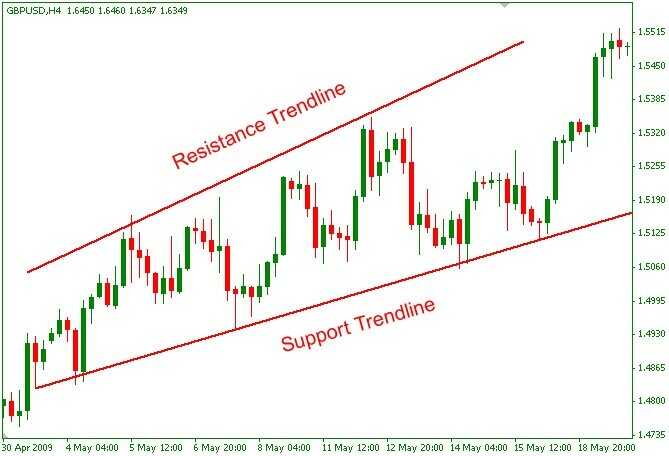 This horizontal line can either be seen as a support line or a resistance line. Most traders consider horizontal levels to be just as important as the price action, which is the core to trading. Analyzing the combination of the price change and the horizontal levels can easily lead us to understanding the trend and predicting where the market will go next. Horizontal levels is a very basic trading strategy, many famous and experienced traders such as Jesse Livermore, Warren Buffett, and George Soros have confirmed that they use it as a basis to many of their strategies. Horizontal levels help us to identify key areas on a chart where a change in trend is likely to occur. This can be helpful for us when we are deciding where we want to exit a trade. Or when we want to enter a trade but don’t know the right time to do it. Timing precisely can be vital sometimes for some trading strategies. With a careful analysis of the horizontal levels it can help us to find the correct timing so that we can do a good trade. Keep in mind though that horizontal levels may be the foundation of many strategies but on its own it is usually not enough and therefore must be used in combination with other indicators. The difference between a Horizontal line and a Trend line is the angel. Look at the two pictures to understand that fully. Usually before I enter a trade, I always draw a horizontal line and a trend line. After that I look at the price action bars. With those three element (horizontal level, trend line and price action bars) combined I pick a price point to enter the trade or to exit the trade. For example if I see a stock price is about to go near the support level then I wait till it bounce back off the support level. Usually you can identify the bounce back by looking at the reversal price action bar. If there is no reversal bar to spot then most likely it will break through the support level. If that happens then most of time I stay away until I can clearly identify what the new trend is going to be. And if the price will go up near the resistance level then I will do the exactly the same thing what I do for when the price is going the support level. Now what if you already own a security (stocks or currencies pairs and so on) what would you do? When I already a security then I would draw a horizontal level and a Trend line. And look at the price action bars to pick a price point of where I should sell the security. For example if I see a stock that I own goes down then I would sell it if it exceed my minimum lost ratio. I wouldn’t wait till it bounces back from the support line because you never know if it will bounce back. And if I see a stock that I own is about too hit the resistance level then I would keep it. If it bounces back from the resistance level then I would sell the stock. However if I was in a CFD trading or option trading then I would sell before it hits the resistance level. After reading this section you have learned that you should use the strategy of three elements. And that strategy can be very profitable. 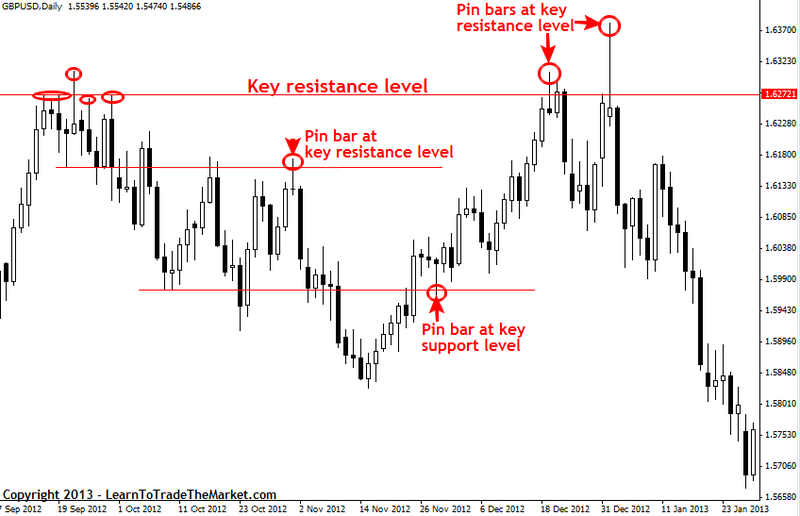 You have also learned what Horizontal levels are and how to use them for your trading strategies. And you know also now that horizontal levels are used in many strategies and that great Investors like Warren Buffet, George Soros, Jesse Livermore and so on are making use the horizontal levels. 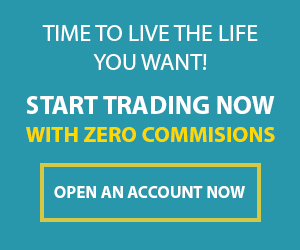 With this valuable information you now have increased the chance of making profits with your trades.